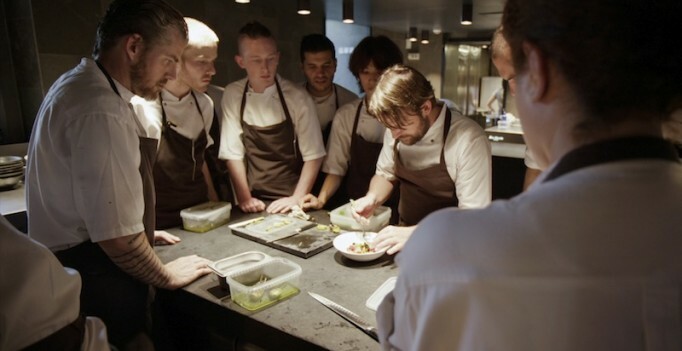 Based on Pierre Deschamps documentary Noma: My Perfect Storm, I couldn’t work in chef René Redzepi’s kitchen. What begins as a foodie’s wonderland with non-stop decadent dishes soon turns unpalatable for the viewer. Redzepi is known for making brilliant, beautiful food. His Copenhagen restaurant Noma – after undergoing changes to its identity – has hit a stride with Nordic-based culinary. The edible rarities have earned the destination consistent business and accolades (including being named the Best Restaurant in the World for four years). The team behind Noma are courteous, creative individuals who pride themselves in their work and are grateful for the restaurant’s success through this niche strategy. Deschamps brings inventiveness to the table through tiny cameras that can record an entire foodmaking process, along with interesting approaches when interviewing his subjects. He interviews René Redzepi from a stilted profile, but the sessions end up being conversational and easygoing. 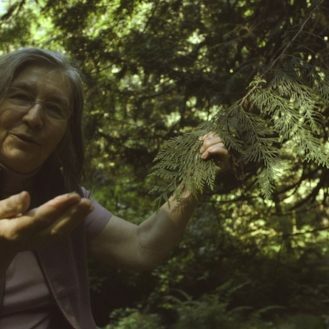 The problem with the film – while not entirely out of the filmmaker’s hands – is what Deschamps has caught on camera. The documentary captures Redzepi’s ego from all angles. It’s understandable the chef is proud of his work and conquering the complicated road he had to travel, but his cockiness is unhinged. For the first 45-minutes, Noma: My Perfect Storm is a commercial for the establishment and lacks the same heart that’s been applied to the savoury meals. The subjects always find a way to pat themselves on the back, and Deschamps allows them to build their own invulnerability. At times, it sounds as if the chefs are regurgitating what they’ve memorized on Noma’s “About Us” section on the menu. Noma’s pain is the film’s pleasure, I’m afraid. The stakes are raised when the restaurant hits a critical snag and a terrible food-related virus is discovered. Once the news breaks, everyone realizes how far the drop is from first place. The process of rebuilding should be encouraging and captivating, but the doc fumbles this as well. Whenever the team is angry or depressed, they erupt in unlikable frustration. When they overcome an obstacle, their arrogance returns. 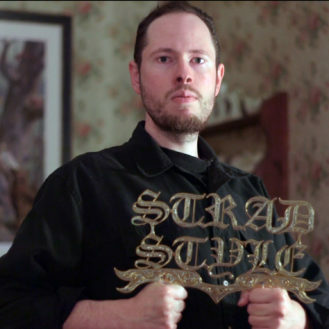 Unlike other films that change motives mid-production like Kung Fu Elliot or Overnight, Deschamps sticks to his uninspired guns. He’s simply interested in making a conventional movie about minted underdogs instead of choosing the more challenging task of deconstructing chaos and the conceited champs caught up in it. Amongst all the disillusion in Noma: My Perfect Storm, the film shafts an entire target audience. There’s more wiggle-room for classification ratings in Canada, but Pierre Deschamps’ film will undoubtably be rated R for its language. The filmmaker hasn’t reminded anyone to watch their language in front of the camera, and the subjects couldn’t care less about how they appear in the movie. The doc could’ve been cultured fare for up-and-coming entrepreneurs in the food industry. Unfortunately, the constant, unnecessary F-bombs force those viewers to stay at the kids table.